CONGRATULATIONS ON ADOPTING YOUR NEW SHELTER DOG! With over 2.7 million animals being euthenized in shelters every year you just saved a life. Well done you! When I adopted my malteese poodle mix, Henry, from a high kill shelter in California I was elated. But, there were times when I wondered if I had made a huge mistake. The first couple of weeks post adoption were a trying time for both of us as we established our new relationship, set boundaries and he recovered from surviving the shelter and a life of neglect. But, with some help we got thru it and adopting my little desert dog was easily the best decision I ever made. 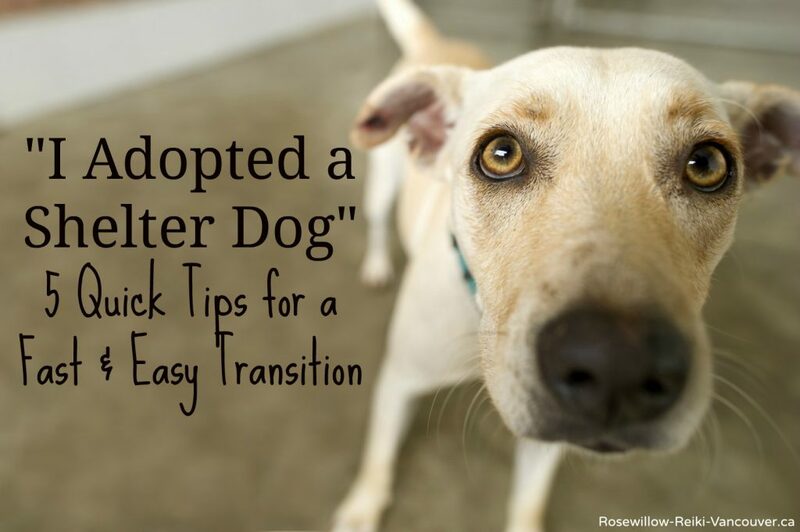 So, here are a few tips to get you thru the first few weeks while you and your new dog adjust to your new life together. LET THEM DECOMPRESS FOR A FEW DAYS – Your dog is a highly emotional being and despite the best efforts of staff, the shelter was a loud, stressful, chaotic, and frightening place for your dog to live. Providing a quiet place with a soft bed for your dog to rest for the first few days is essential. Preferably not isolated but in a quiet corner where they can observe and become comfortable with the daily goings-on of the household. It is normal at this stage for them to sleep for a few days if necessary. Avoid busy dog parks and adventures for the time being. ESTABLISH A ROUTINE RIGHT AWAY – Potty-training, behaviour training, feeding times, walk times. Establish the expectations right away and stay consistent throughout the day and every day. I know it will be hard not to spoil them right off the bat after all they have been thru but establishing boundaries and a routine as soon as possible will let your dog know you are the pack leader and allow them to feel safe and grounded in their new environment. GIVE THEM TIME TO SHOW THEIR TRUE COLORS – My favorite part of adopting a shelter dog has been watching their personality blossom. Your dog may come to you a bit shut down and exhibit odd behaviours. Don’t worry. Be patient. As the days go by your dog will learn to trust you and become more comfortable showing you their heart and soul. So give them as much time as they need. Especially if you suspect any kind of abuse or neglect as they may need more time to develop their trust in you. Every day my dog reveals new aspects of his personality and I have loved watching his personality unfold. At first he was lethargic, unaffectionate, non-cuddler who looked sad and worried all the time and hated walks. Fast forward a month later and he is an energetic, happy, loving dog who loves being outdoors. LOVE THEM – This goes without saying! Who doesn’t get a dog if not to love them and create a bond like none other? Showering your dog with the love, affection and positive reinforcement that they may have been denied their entire life will quicken their bond with you and most likely be a healing experience for you both. Also, if your dog loves and respects you he will most likely be more obedient during behaviour training and will work harder to to please you. Contrary to some beliefs, showering your dog with affection will not create separation anxiety. I made sure to leave Henry home alone frequently in the first few weeks. I came and went quietly, calmly and without much fanfare to ensure that he knew my leaving was not a big deal and completely normal. If you find your dog is experiencing separation anxiety shortly after adoption don’t be afraid to seek out a reputable dog trainer/behaviorist and some Reiki Therapy to help your dog to cope with his anxiety. OFFER REIKI THERAPY TO YOUR DOG – Reiki is an effective, non-invasive Japanese healing modality that dogs respond to naturally. A Reiki treatment within the first few days of adoption can be a wonderful healing experience for your dog and can help ease their transition into their new life with you. I credit Henry’s daily Reiki treatments to his speedy recovery and the ease with which he adjusted to his new suroundings. Reiki energy therapy allows your dog to enter a deep, meditative, relaxed state that will ground your dog into his new space and promote harmony and balance amongst all members of the household including other pets. Shelter life for a dog can be quite traumatizing especially if it is coupled with past neglect, abuse and abandonment. With Reiki you can help your dog release fears, past trauma and heal physical and emotional wounds. As they return to a place of inner peace and well-being, their loving personalities resurface and can more quickly become the grounded, loving, happy member of the household that you wish them to be. Henry and I wish you and your new pup a life of love and adventure! 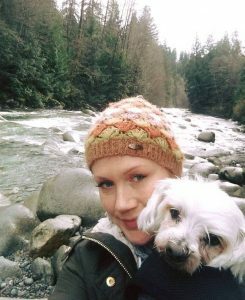 Desert Dog and I on a jaunt thru Lynn Canyon. He is clearly not entirely thrilled with the colder climate here in Vancouver, Canada but he is slowly acclimatizing and becoming the nature-loving, VanCity Dog he was meant to be!